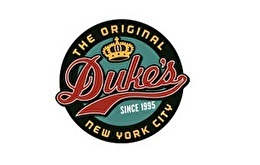 Duke's menu features big-time sandwiches, salads and a great selection of burgers. Try the Bronco Burger with avocado & bacon or the homemade Daisy Duke Southern Veggie burger. Taste the barbecue - a full rack of ribs with macaroni & cheese or the brisket sandwich with crispy french fries. Top it off with our truly tempting homemade desserts and our famous Duke-A-Rita. We're open late for those late night munchies & serving a delicious weekend brunch for those lazy Sundays. Ask us about our catering too - we'll host the party or bring it to you! For balance inquiries call the phone number to a Duke's location below.